It seems that summer is a time for Christenings & Birthdays combined. 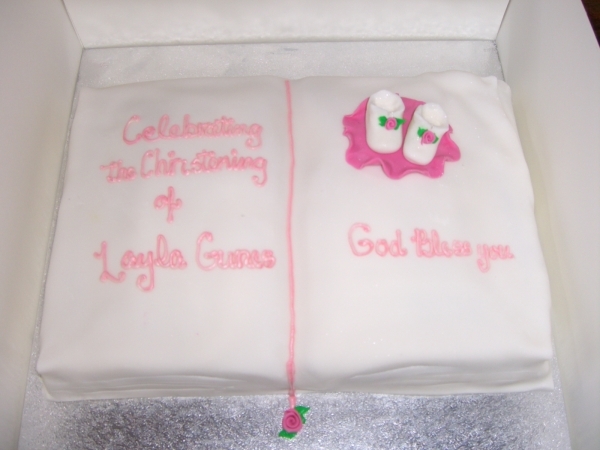 Most often Christening cakes are very simple design. Plain white decorations-flowers, baby shoes, Bibles. Maybe a little blue or pink accent. But I have been lucky this summer! The Christenings have been celebrated along with the birthdays! One for a girl & one for a boy. The girl's was a Bible with baby shoes & for her birthday a Princess & A Frog cake. 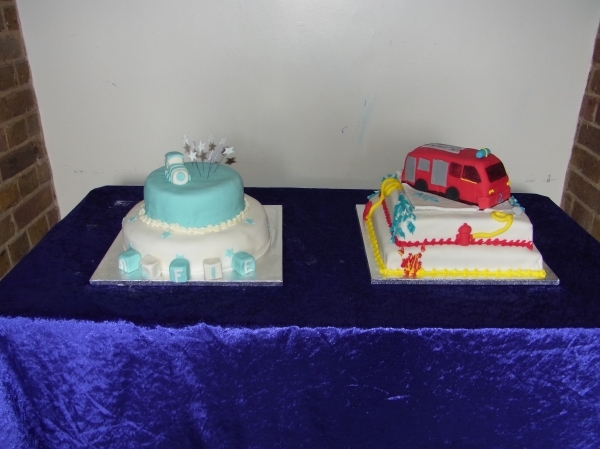 The little boys was a 2 tier blue & white cake with a train on top & for his birthday a 3 tier fire engine extravaganza! Wow factor indeed! !